This fragrant stew steeped in Asian flavours is a dish you’ll want to create over and over again. Tamarind lends its zest to a slew of spices for a dish loaded with extra zing. 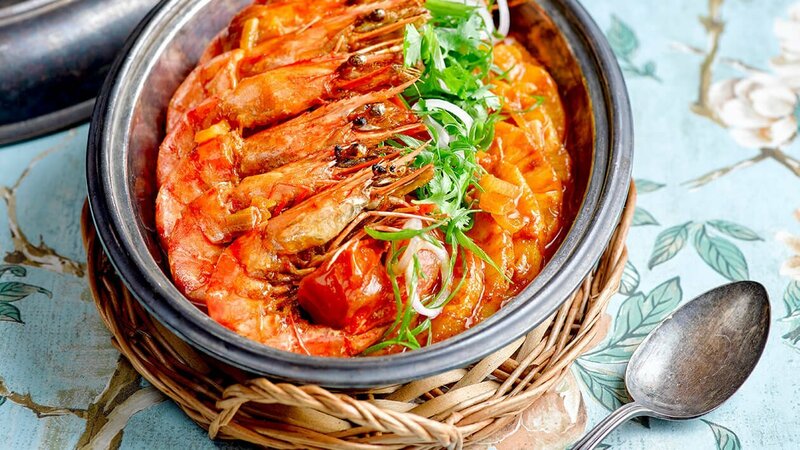 Mix all the ingredients in the mixing bowl and marinate prawns overnight. Grill the prawns till cooked. In a pot, stir fry onion, fish curry powder, coriander powder, chili paste, Knorr South East Asian Spice Paste and Knorr Rendang Paste till fragrant. Add in water and bring to boil. Fold in pineapple, gula melaka and Knorr Concentrated Tamarind Sauce let it simmer for 8 mins. Prepare ingredients as mentioned above. Fold in tomatoes into the sauce. Plate prawn and pour sauce over.